The staff of Black Athlete.net felt this article was worth re-publishing, especially on this day in which America celebrates the massacre of the original inhabitants of the land. NORTH CAROLINA (BASN)—Every year, we engage in the European cult ritual known as Thanksgiving. Not surprisingly, the NFL promotes this holiday with its Thanksgiving Classic, which is a series of games played during the Thanksgiving holiday since the league’s inception in 1920. This year’s game, however, had a little more meaning. Why? Because, while we were eating Turkey and stuffing and cranberry sauce, the Washington “Redskins” will be playing the Dallas Cowboys, which highlights rookie sensation Dak Prescot against Kurt Cousin.. Yes, the classic battle between Cowboys versus Indians, which is the premise of American’s violent culture, was showcased during this year’s so-called Thanksgiving Classic. Plus, let’s not forget that psychologically the Dallas Cowboys are considered America’s team. Believe me, this is not a coincidence. Yes, this so-called Thanksgiving classic, should have been called a game of genocide. Why? Because, symbolically and subconsciously it represents the psyche reenactment of the American Holocaust, in which over 19 million Indigenous people were exterminated. This, however, wasn’t only Sheridan’s philosophy. It was also the military strategy of the United States government, in which Thomas Jefferson was also an advocate of and openly admitted with his own words. Some people, however, might not see it that way. But the truth, is the truth. Unfortunately, despite Stewart’s attempt to be funny, this was the real history of Thanksgiving, even though we continue believing in the fairy tale rendition of Pilgrims and Indians holding hands and praying together. Why? Because, there is nothing hilarious about the Holocaust involving the death of 19 million First Nation people, through the methods of constant warfare, chemical warfare through smallpox filled blankets, disease, sterilization, the 1830 Indian Removal, assimilation through education, the slaughter of the Buffalo, colonization, starvation, and reservation. Despite all of this, every year through out America, elementary school teachers continue to dress up little children in these stupid black Pilgrims costumes with those big buckled shoes and place feathers on their innocent little heads as if it was a made for Disney movie version of Pocahontas and John Smith, while sitting down for a big dinner, singing “One Little, Two Little Indians” with a table filled with pumpkin pies and cranberry. Glen Ford, the Executive editor of Black Agenda Report, wrote an excellent article entitled The end of Thanksgiving: A Cause for Universal Rejoicing which brilliantly dissembled this myth, which has become apart of the so-called American dream and lexicon. The fable (of Thanksgiving) attempts to glorify the indefensible, to enshrine an era and mission that represent the nation’s lowest moral denominators. Thanksgiving as framed in the mythology is, consequently, a drag on that which is potentially civilizing in the national character, a crippling, atavistic deformity. Defenders of the holiday will claim that the politically-corrected children’s version promotes brotherhood, but that is an impossibility – a bald excuse to prolong the worship of colonial “forefathers” and to erase the crimes they committed. Those bastards burned the Pequot women and children, and ushered in the multinational business of slavery. These are facts. The myth is an insidious diversion – and worse. Ford was correct with assessment of this holiday which we shamefully celebrate as a day of thanks. Shockingly, this day of mass murderer was proclaimed by Governor John Winthrop of Massachusetts as a day of Thanksgiving. Unfortunately, we have forgotten the true history of this day, in order to applaud touchdowns, missed field goals, and bobbled snaps. We have, in fact, rejected the natural and embraced the unnatural. We have shamefully accepted the killing of beautiful people, the theft of beautiful lands, the contamination of beautiful oceans and the pollution of sacred skies in order to foolishly celebrate the festivities of a football game. Cleveland Indians’Chief Wahoo and the Washington Redskins. We sadly mock them by participation in Towahawk chops and chants during Atlanta Braves baseball games and Florida Seminoles football games, while some insensitive sports reporters write headlines like the Seminoles massacred the Gators. This is, however shear insanity being paraded in front of the world to see. 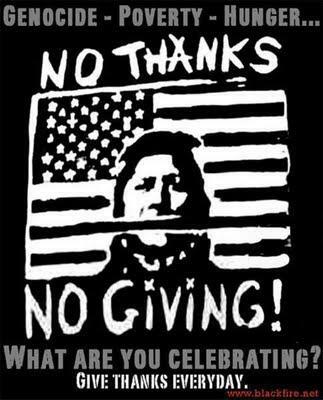 Seriously, celebrating Thanksgiving is like Germany having a day of celebration for the Holocaust. Let’s not forget that according to author John Toland’s The Autobiography of Adolph Hitler, Hitler’s concept of concentration camps as well as the practicality of genocide owed much, so he claimed, to his studies of English and United States history. The North American Indian holocaust was also studied by South Africa for their apartheid program. And if 1492 is our historical reference point, …”when Columbus sailed the ocean blue” in the NiZa, the Pinta, and the Santa Maria, which would eventually be utilized as slave ships, we can’t forget the genocide of the Ingenious people, with eventually led to the African slave trade. Therefore, in dispelling the myth of Thanksgiving, we also must shatter the myth of Christopher Columbus as well. First of all, we must realize that Christopher Columbus never set foot in what is North America, or the United States. Matter of fact, Norwegian settlers preceded his arrival in America by some five hundred years. Second, instead of referring to him as an explorer, we should call him an exploiter, a gold digger, a mass murderous missionary, and a slave trader. Honestly, in his quest to find India in the Caribbean, he mistaken called the inhabitants of Hispanola, now modern day Haiti, Indians, while thinking Cuba was Japan. Historian Dr.John Henrik Clark remained us that when Christopher Colon set foot on Samana Cay, in the Bahamian Islands, he, in fact, set in motion western racism, colonization, mis-education, distorted history, and the bogus concept of the chosen people through a Manifest Destiny philosophy, which promoted the divine white right to conquer, kill, and Christianized another people . “In his mind, it was enslavement from the very beginning.” Clarke said.” His intention were not good. Plus, he added these words, to remove all doubt about his intentions. 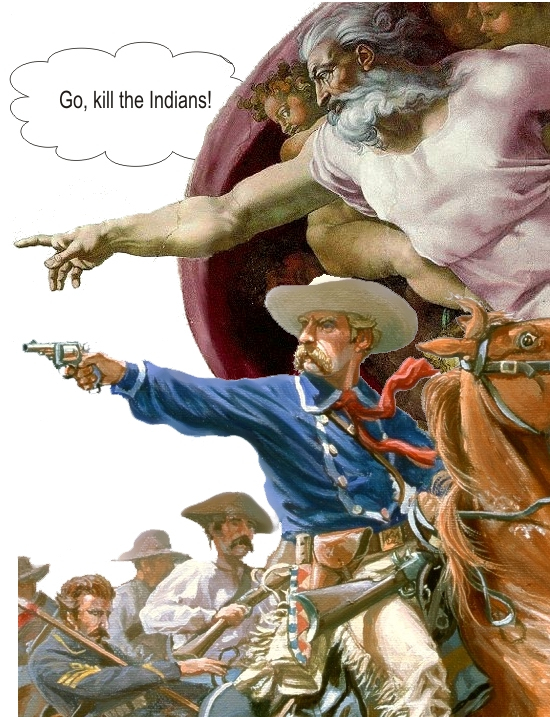 With that in mind, consider the fact that with Columbus’ arrival to the New World, who himself, was a professional slave trader,he along with his Spanish conquistadors killed up 5 million Tainos, whom were mis-named “Indians” in the Caribbean, within three years, according to primary historian of the Colombian era and Catholic priest Father Bartolome’de las Casas, who was an eye-witness to the destruction. De las Casas, in fact, wrote about it in his multi-volume “History of the Indies,” which was published in 1875. Despite these horrible facts, the United States of America still considers him to be a American hero worthy of celebration and praise. 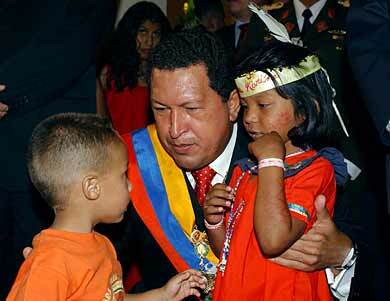 Venezuelan President Hugo Chavez, however, doesn’t think so. There’s nothing to celebrate,” said the Venezuelan president, who in 2002 signed a decree to change the name of its Oct.12 Columbus Day to the Day of Indigenous Resistance. Columbus Day, which was made a federal holiday in 1971, in fact, is one of only two holidays to honor a person by name, the other of course is Martin Luther King Jr. These words alone from the former President of the United States should put to rest all of this “New World Order” talk, because it is actually an Old World Order, which the West have been practicing since they came in contact with the First Nation People of the earth. Why? Because, originally, football wasn’t America’s favorite sport.